Calm your clients’ sensitive skin with these psoriasis spa therapy tips. 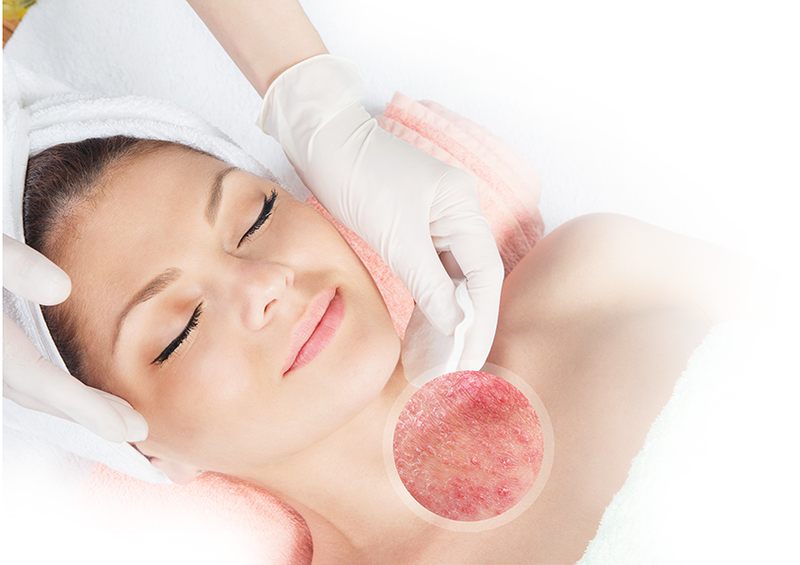 Psoriasis is a skin condition that estheticians are seeing more often these days in the treatment room. Psoriasis is an immune-mediated disease that causes raised, red, scaly patches to appear on the skin. It’s a disease that comes and goes. At this time, there is no cure for it; however, there are ways to avoid its triggers, as well as products and treatments that can help alleviate the symptoms when the skin flares up. Psoriasis should first be treated by a physician. Afterwards, professional skin care treatments can help to relieve and destress the client and calm the reactive state of the skin during a flare-up. Psoriasis scales and red patches are itchy and can occur all over the body. At times, this can be painful, as psoriasis tends to speed up the life cycle of cells… Access Full PDF Article Here.